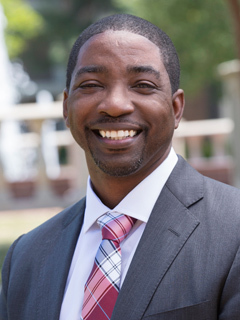 Dr. LeJon Poole serves as the Director of the Healthcare Management program at Campbell University, as well as an Associate Professor of Management, teaching courses at both the undergraduate and graduate level. He received his B.A. with a double major in History and English from Samford University, and an MBA from the University of Alabama at Birmingham. Most recently, he completed his Ph.D. in Health Administration – Strategic Management, also at the University of Alabama at Birmingham. Prior to joining the Campbell community, Dr. Poole worked as a Fellow in Elon University’s Love School of Business, and as an Assistant Professor of Management at Fayetteville State University in Fayetteville, North Carolina. In addition to his duties at Campbell, Dr. Poole also serves as a consultant to Healthcare Organizations in North Carolina and throughout the Southeast. He specializes in Strategic Healthcare Management of Rural Hospitals & Healthcare Organizations, as well as Federally Qualified Health Centers (FQHCs). In addition, Dr. Poole serves on the Board of Trustees for Saint Joseph’s of the Pines, a Continuing Care Retirement Community in Southern Pines, North Carolina.